The great thing about WordPress is that there’s such a vast plethora of learning resources out there, both free and paid, that can be utilized. We all learn differently, so in order to keep up with such an evolving industry, it’s important to find the right combination of resources that works best for your personal learning and development. As an experienced WordPress developer, I’d like to share a few of the resources that have helped me over the years. This is in no way meant to be a comprehensive list, but instead a resource that lists a few valuable learning outlets that have helped me along the way. Enjoy! Lynda – Offering courses on an impressive number of different topics, Lynda.com has no shortage of courses covering WordPress. If you are looking for something more specific such as explaining how to use certain frameworks, plugins, and starter themes, browse through Lynda’s impressive library. Smashing Magazine – Started in 2006 in Germany, Smashing Magazine has paved the way for successful web design blogs. Along with expert articles, expect access to regular freebies such as icons, stock photos, and fonts. ManageWP.org – ManageWP.org publishes dozens of new articles every day. They offer yet another outlet for discovering industry news and product reviews. Codex – The WordPress codex is an invaluable resource that covers the ins and outs of the platform. From theme development to using the interface, you can find in-depth documentation on how to take advantage of the CMS. WordPress Template Hierarchy – The WordPress Template Hierarchy has an intuitive flowchart that outlines how templates work along with the order in which WordPress’ theme files take precedence. Becoming familiar with the template hierarchy both speeds up theme development and makes your code more maintainable! Don’t Make Me Think by Steve Krug – Wonderfully crafted and organized — this book sheds a lot of light on web usability from multiple perspectives. Designing with Web Standards by Jeffrey Zeldman – As the internet grows there is always a need for websites to evolve by meeting certain design, usability, and accessibility standards. Zeldman has been the expert in this field for a while, and that doesn’t seem to be changing anytime soon. 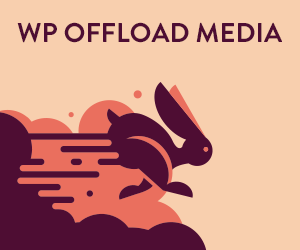 So, that’s my rundown of WP resources. I hope you find it helpful, and remember: Take it slow and try to put everything into practice as you’re learning. It’s smart to take one element at a time so that you don’t get overwhelmed. Like they say, the quickest way to learn is to get your hands dirty!